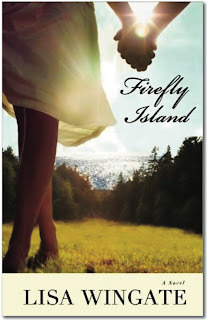 Firefly Island is a novel by Lisa Wingate. The story begins with a whirlwind romance between Mallory Hale and Daniel Webster Everson. My initial reaction at the beginning of this book was “This is really lame.” Daniel is a biochemist working for the USDA with an adorable pre-school age son. Mallory is the very pampered daughter of a powerful Washington lobbyist whose father helped her snag a job as a legislative assistant on Capital Hill. They literally collide in the capital, she drops her stack of papers, he helps her retrieve them and they simultaneously fall in love. I thought it was ridiculous. Shortly after meeting, Daniel is offered his dream job in Moses Lake, Texas and he and Mallory decide to get married. So they strike off with a U-Haul trailer for their new life as a married couple. This is the point where I questioned, “So how’s this going to work out for them?” Mallory, with the maturity of a pre-teen moving to the country and becoming a stay-at-home Mom for little Nick without any of the perks to which she has become accustomed, is going to go with this man she has only known for a few weeks. Sounds like a disaster in the making. And indeed life is pretty rough in Moses Lake. The house that came with the job is a wreck complete with mice and Daniel is expected to work long hours. I actually began to feel sorry for Mallory. But against all odds, this couple begins to pull things together. I silently cheered when Daniel realized that he did have an obligation to his family and stood up to his boss and took private family time. Mallory tackled the disaster of their house, getting rid of rodents and hitting the boss up for new carpet. I am not so sure that I would have stayed in the house after the first night. Mallory did and she became a wonderful mother to little Nick. She began to make friends in the community. She developed a concern for the children who lived in exceptional poverty up in the hills and used her skills learned in Washington to help. Mallory and Daniel grew as a couple and their love for each other took root. About half way through the book I was hooked. I was drawn into the mystery of Moses Lake and simultaneously became quite fond of Daniel and Mallory. Soon after arriving in Texas it became apparent that there was something sinister about Daniel’s boss. Daniel’s boss was in a serious accident and there is suspicion that it might not have been an accident. I was surprised how well Mallory and Daniel rose to the occasion and together fought against adversity and survived. Then Mallory literally takes her life in her hands to find the answer she had wondered about since she arrived at Lake Moses. Firefly Island has all the ingredients for an excellent read. As I read, I realized that the romance and love story were genuine. The story is exciting – especially the last part. It is a book I would recommend. I received this book from the publisher in return for a review. All opinions are my own. Sometimes love takes you on an adventure completely off the map. Mallory Hale's life quickly veers off course when she falls hopelessly in love. After a whirlwind romance, Mallory finds herself leaving the bustle and action of Capitol Hill for the remote town of Moses Lake, Texas-with husband, stepson, and a U-Haul in tow. A sweet, mishap-filled journey into marriage, motherhood, and ranch living ensues, and Mallory is filled with both the wonderment of love and the insecurities of change. But what she can't shake is the unease she feels around her husband's new boss, Jack West. Jack's presence-and his mysterious past-set her on edge, and when hints of a scandal emerge, Mallory finds herself seeking answers . . . and comes to realize that the middle-of-nowhere home she wasn't sure she wanted is the very place she'll risk everything to save. 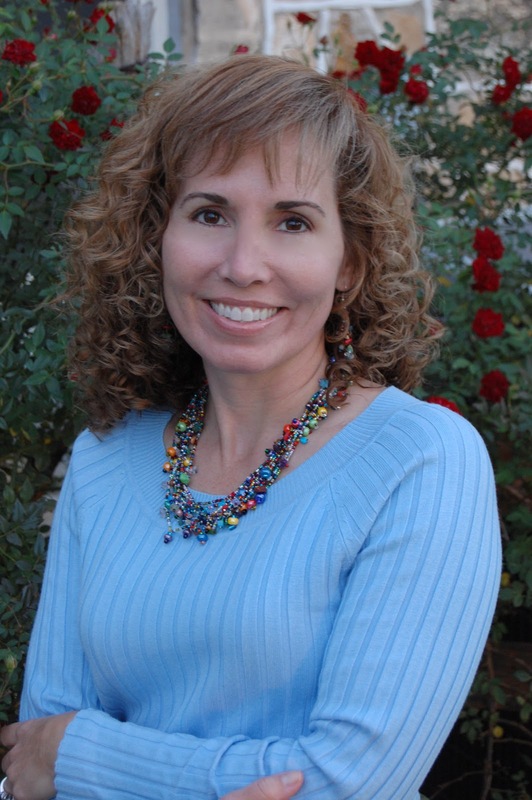 Lisa Wingate is a popular inspirational speaker, magazine columnist, and national bestselling author of several books, including Tending Roses, Talk of the Town, Blue Moon Bay, and Larkspur Cove, which won the 2011 Carol Award for Women's Fiction. Lisa and her family live in central Texas. Lisa Wingate is celebrating the release of Firefly Island with an iPad Mini giveaway and a fun Facebook Author Chat Party (March 19th). Enter today by clicking one of the icons below. But hurry, the giveaway ends on March 18th. Winner will be announced at the "Firefly Island Author Chat Party on March 19th. Connect with Lisa, get a sneak peek of her next book, try your hand at the trivia contest, and chat with readers just like you. There will also be many fun giveaways -- gift certificates, books, and more! Don't miss a moment of the fun, RSVP today. Tell your friends via FACEBOOK or TWITTER and increase your chances of winning. Hope to see you on the 19th!